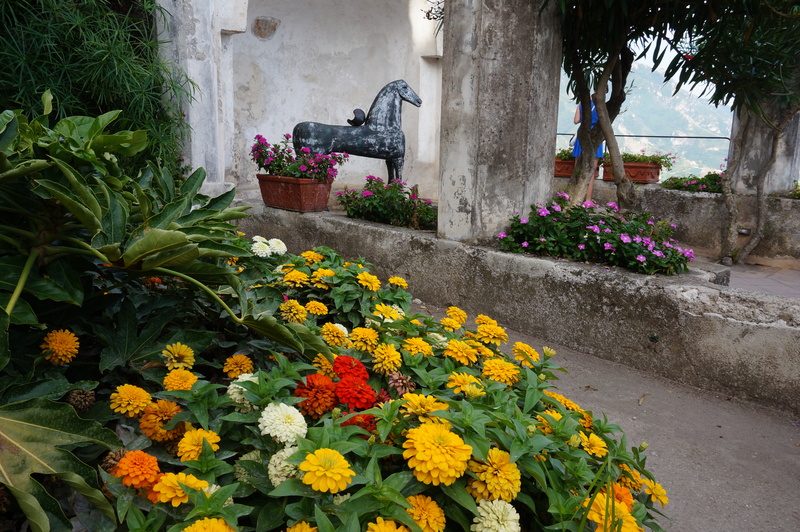 Today we are going to visit the wonderful Ravello. 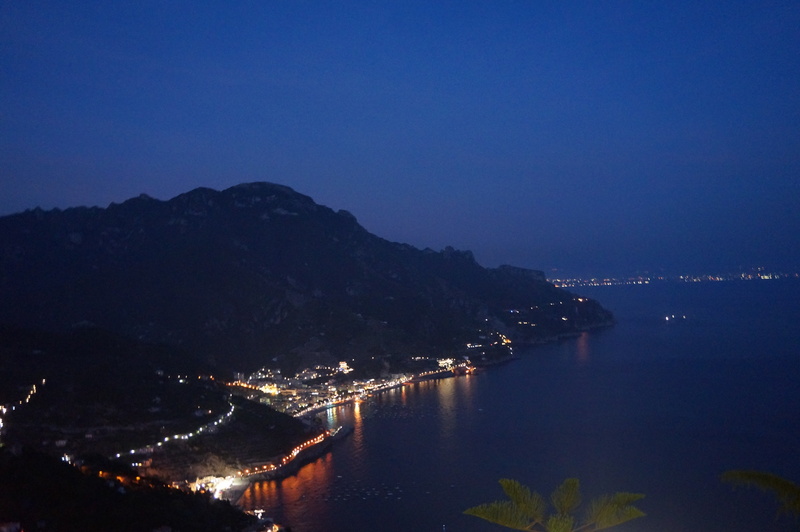 This is one of the cities that impressed me the most, last year, during our holiday on the amazing Amalfi Coast. 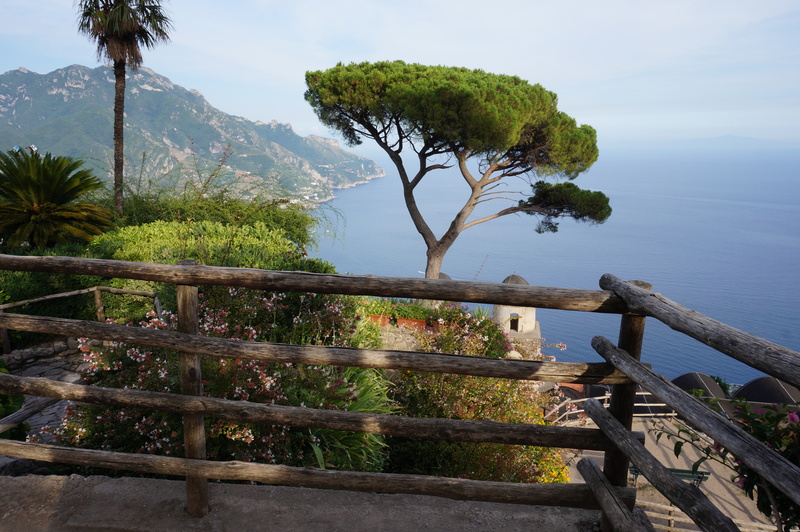 What is so special about Ravello? 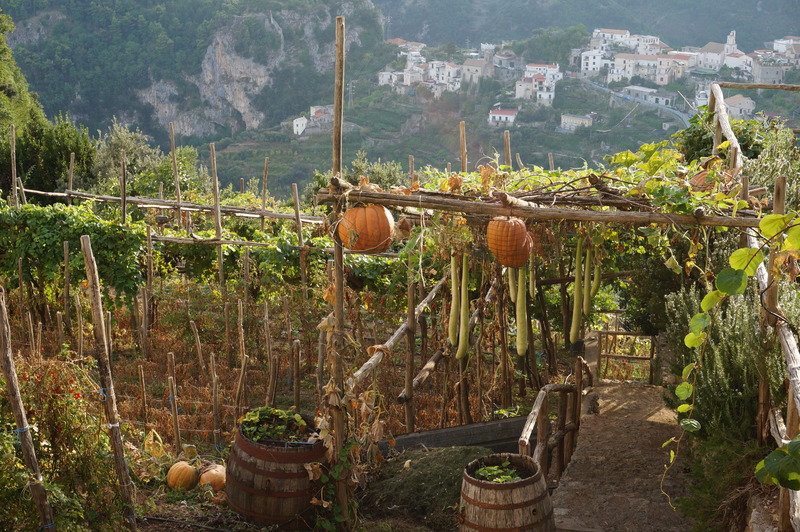 Well….let`s see….first, its incredible setting and surroundings. I will have to admit that the snaky road gave me a bit of headache, but when we got on top, it was truly all worth it. 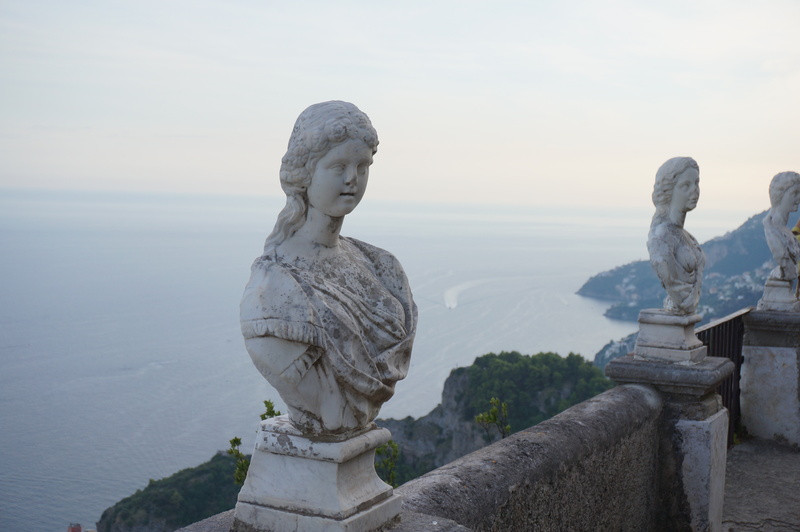 What I loved the most about Ravello? Its sumptuous gardens, for sure. Every girl loves flowers, am I right? 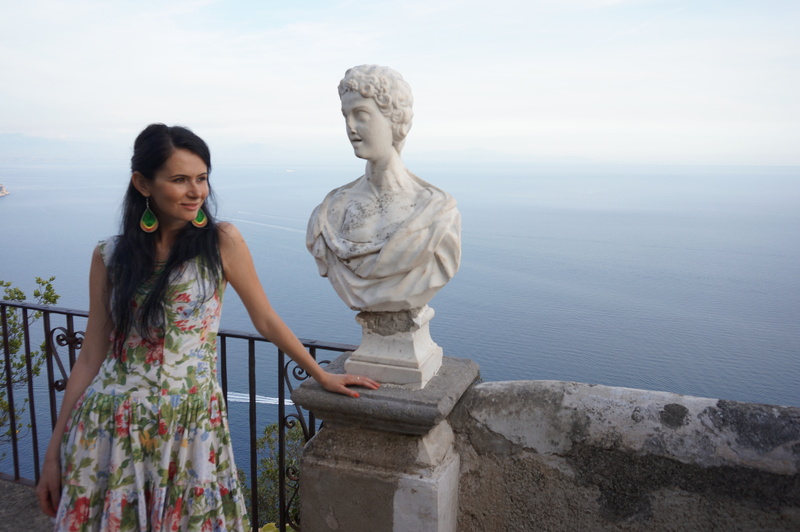 There is such an abundance of green, nature, flowers, trees, views…it is ecstatic and overwhelming. 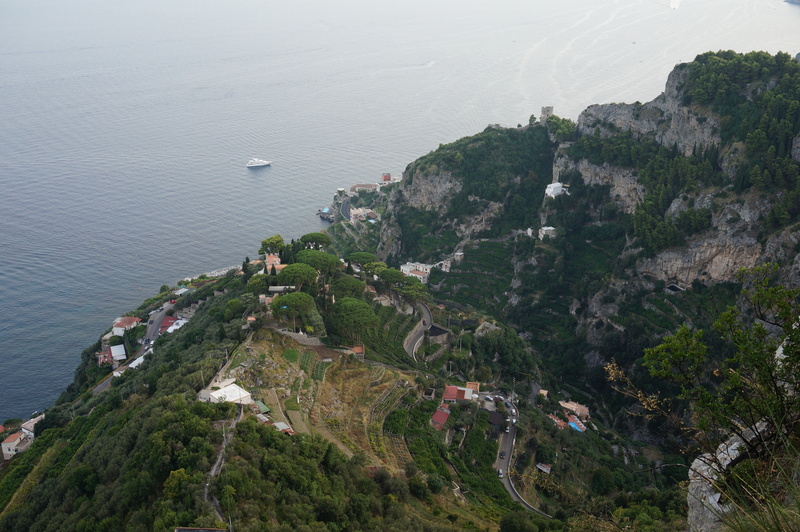 Ravello managed to surprise us with every move we made, like here, in this photo. Who would have thought I would get a Halloween-ish vibe in full summer, in this Italian city? 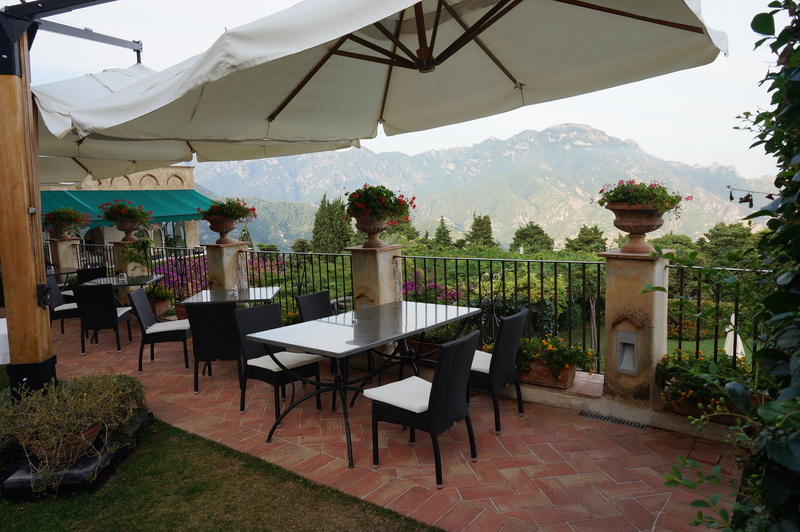 It would have been a pity, that, in this incredible piece of heaven, one would not be able to sit and enjoy a proper Italian meal….This is why, in Ravello, there are restaurants with a view and extremely good food. We tried to dine here, but it was fully booked of course…. 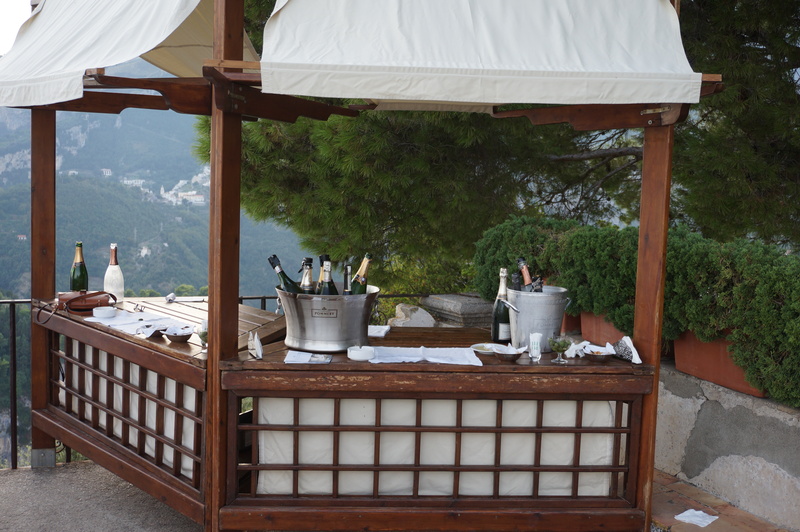 Even the terrace was fully booked…. 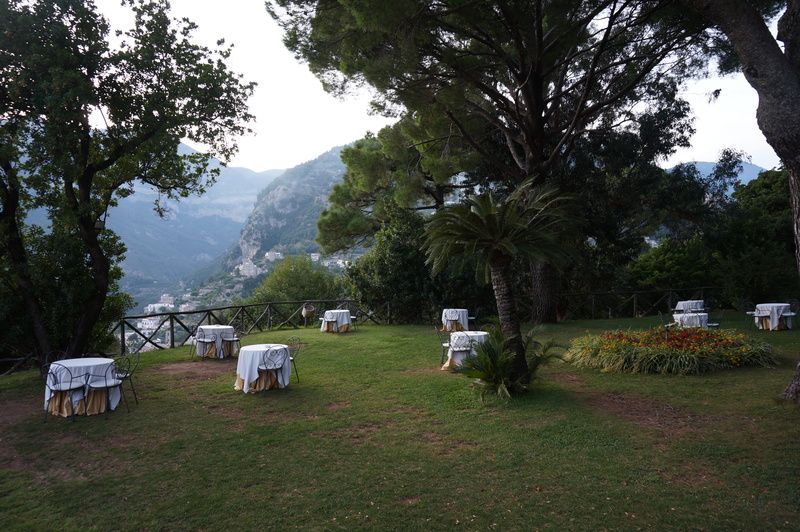 As you can see in the last picture above, Ravello can be a great place for a memorable wedding reception or ceremony. 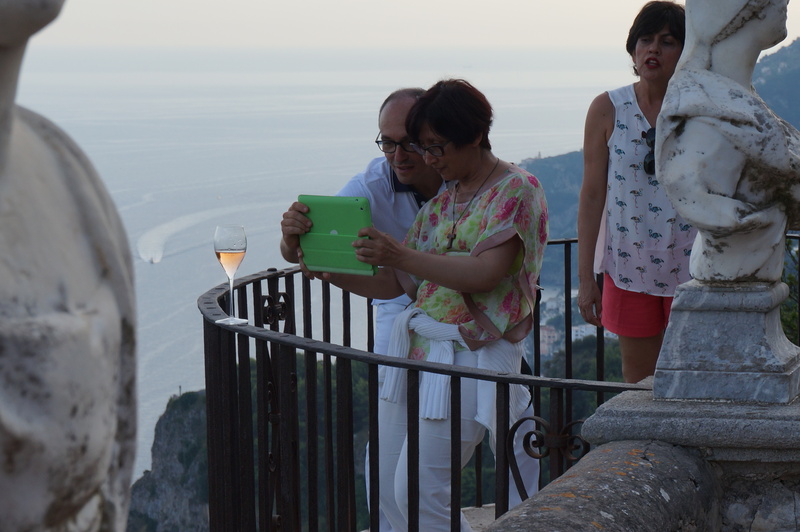 Yes, indeed, we saw an Asian bride and some of her guests taking pictures with the stunning views. We couldn`t help it, and did the same. Could anyone resist to such beauty? How comforting would it be to drink your coffee early in the morning or have a late dinner, here, exactly here? 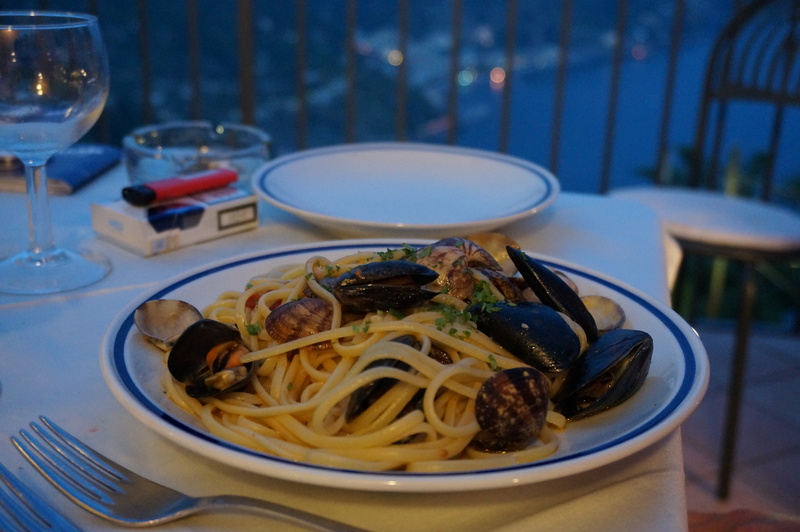 I don`t know about the first part, but dinner, we did enjoy it in Ravello, in a nice, cozy restaurant…with a view, of course! 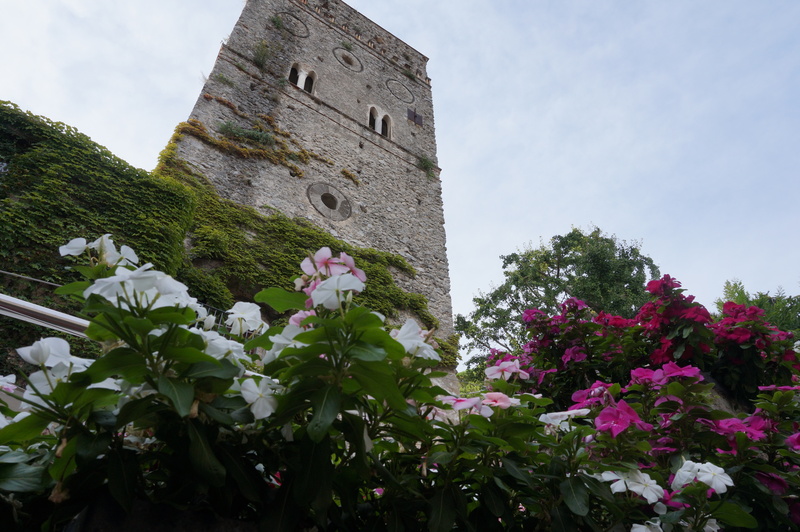 Conclusion: I would love to go back to Ravello, during the Music festival and stay longer….